Assisting the Receivables Accountant in enlisting the efforts of marketing personnel and senior management when necessary to accelerate the collection process. Must support the Receivables Accountant in communicating & following up with internal departments regarding customer accounts. Perform other assigned tasks and duties necessary to support the Receivables Accountant and Accounting Department. 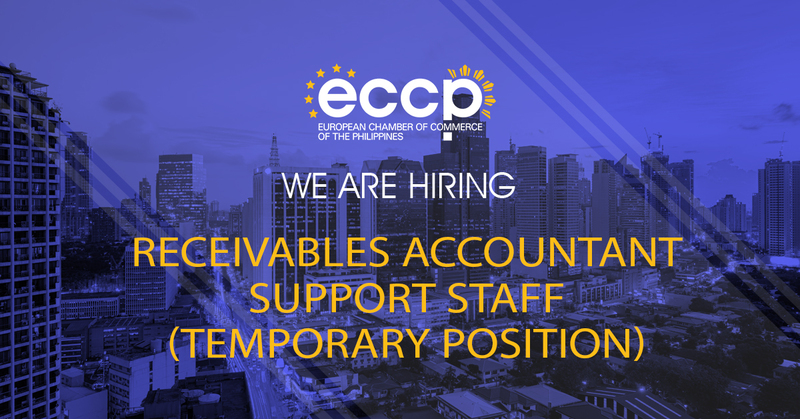 Interested applicants should address their cover letter to Ms. Caren Valentos, Accounting Manager, and email this along with their resume to careers@eccp.com.